This is a fun video of a kitty playing Mr Surprise. Alcala playtime in Dog Park, originally uploaded by Jim Lockwood. 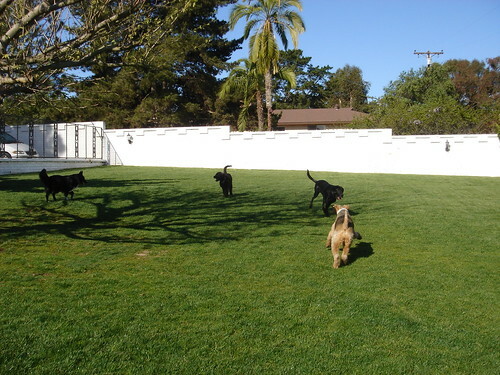 Alcala Pet Care features a large, 1/2 acre fenced in park for our big guests to run and play. Large, friendly dogs love to play ball together and are always supervised. Sign up for Dog TLC during your pet’s next visit.